. Published on 21/09/2018 . In this edition of our ‘How To’ video series Ellen Mary of Ellen Mary Gardening show’s us how to propagate strawberries really simply by using the runners. A strawberry plant is usually past it’s maximum strawberry production after three to five years. This simple method of propagation enables you to create more new plants of the same variety. All you need to grow new strawberry plants is a pot of compost and a cocktail stick. It really is that simple. 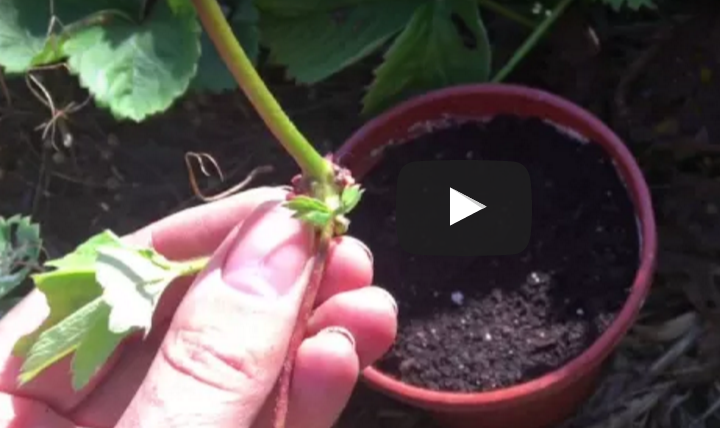 This short How To video will ensure that you have nice and juicy strawberries next year. Just think of the possibilities – Eton Mess, Strawberry Pavlova, Strawberry Smoothies and our favourite Strawberries and lashings of cream. Yum. Ellen Mary is also a gardening TV presenter and columnist for Places and Faces along with Feast Norfolk. Having a passion for nature and wildlife gardening, Ellen is also the Wildlife gardening writer for The Norfolk WIldlife Trust.